Phil Falcone’s first love: hockey. Second love: cell phones? 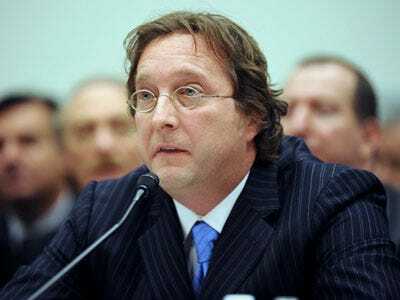 Phil Falcone’s hedge fund, Harbinger, is planning to build a 4G wireless network that will compete with major network providers like AT&T and Verizon.His plans are ambitious, to say the least. Harbinger is in discussions with a number of companies, which we cannot disclose, that provide a variety of services and solutions, but have not finalised anything with any potential partners. Harbinger is invested in other satellite companies (TerreStar and Leap Wireless) so he might tap them for help expanding the network, and of course Falcone is a billionaire, but there is still a lot of money to raise. And that’s just the beginning. The difficulty (and $5 billion cost) of building out a network that would cover 100 million people by the end of 2012. This stuff is complex and often takes longer than expected. Find buyers for 4G service, ranging from other phone companies to non-phone companies that want to sell mobile Internet access. Read more on why Phil Falcone’s network probably won’t work. Good thing he’s making a killing in distressed debt!